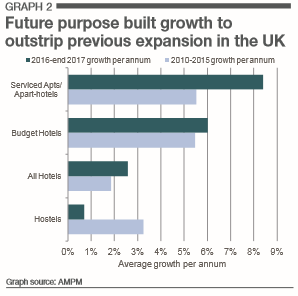 Serviced accommodation is the fastest-growing sector of the hospitality industry, and the massive demand for this kind of property is showing no sign of slowing down. That means a lot of opportunities for property investors like you to make a lot of profit and build a successful portfolio. Why is serviced accommodation a great investment for you? How much money can you realistically make from serviced accommodation? The most common and mostly costly challenges, obstacles and mistakes landlords face. How you can successfully manage a serviced accommodation. ​So what is serviced accommodation? As an investor in serviced accommodation, you will let out your property – usually an apartment – to tenants who will stay in most cases for a few weeks or months. 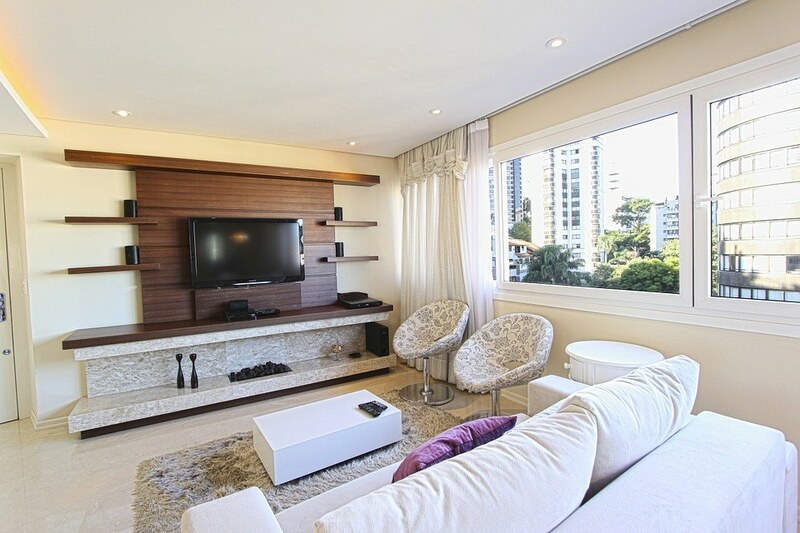 Unlike a typical rental property, you may be providing a lot of extra amenities, (depending on the serviced accommodation model you choose to implement) including kitchen appliances, towels and linen, TV and broadband, as well as a weekly cleaning service. · What is serviced accommodation? · Why is serviced accommodation a great investment for you? 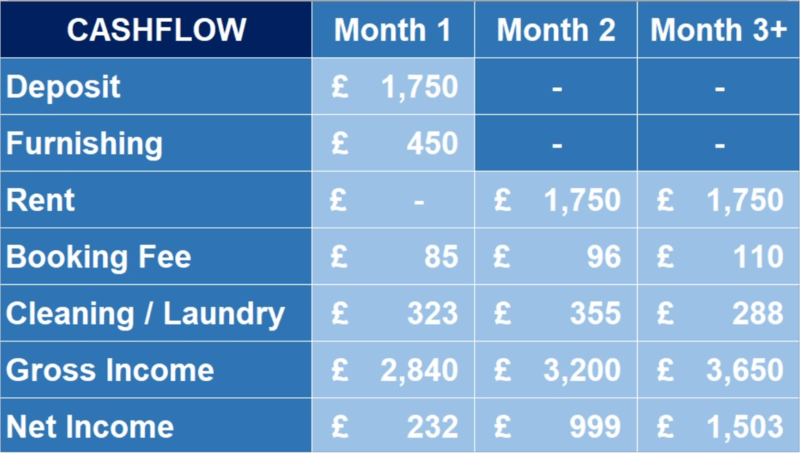 · How much money can you realistically make from serviced accommodation? · Where should you invest? · The most common and mostly costly challenges, obstacles and mistakes landlords face. · How you can successfully manage a serviced accommodation. So what is serviced accommodation? means a huge amount of opportunities for you to take advantage if as an investor. Why should you invest in serviced accommodation? Serviced accommodation is a growing market that can offer you a lot of advantages over other forms of rental properties. While your tenants will stay for shorter periods than a typical to-let property, you are able to charge much higher rent in the right areas, and there are strategies we share at Premier Property increase the average length of a stay. For example, one strategies is to invest in a corporate lets property so that you can strike major deals with employers easily, quickly, and sustainably. One of the biggest concerns investors have about serviced accommodation is keeping the property occupied. It can take a little extra work, but at Premier Property we can teach you how to achieve and sustain full occupancy. In the right location, you can expect to make £500 net income a month outside of London, and £1000 net income a month in the capital, with a well-managed serviced accommodation. One of the major factors in keeping your property occupied is being in the right location, so where should you invest? Tourist destinations are an obvious choice; however you can also be very successful providing city centre accommodation catering to professionals travelling for business. Is there something to attract tourists all year round? Locations that can attract multiple demographics throughout the year are ideal for maintaining your occupancy, so research is key here. Search online and know every event and attraction nearby throughout the year. Aim to find a property with good transport links to these events and attractions, especially if you are unable to provide parking. Will the area attract lots of professionals throughout the year? Look for areas with lots of company headquarters’ or conference centres to ensure regular visitors. In most serviced accommodation hotspots demand far outstrips supply, but it still pays to make sure you won’t be struggling to stay occupied due to oversupply. Search online on sites like Booking.com and HomeAway to find out how much serviced accommodation is already there, and whether you will be able to compete with what is available to keep your property occupied. Visit as many serviced accommodation properties in the area as you can, either as a potential buyer if it is for sale, or as a guest if it isn’t. This will give you invaluable information about what is expected of serviced accommodation in the area, and you might be able to build an idea of how successful the property is from talking to the owner or manager. That’s £700 a week, or £3000 a month. London is the centre of business and tourism in the UK, so of course there is massive demand for serviced accommodation. Manchester has a huge amount of property development going on right now alongside hundreds of new-build projects completed in the last few years. The city still has many vacant plots ready to become shops, offices and restaurants, so your city centre properties are set to grow in value. Newcastle is a major business centre for technology, engineering and digital industries, and has a rapidly growing economy. Comparatively low property prices make this a great city to invest in serviced accommodation. Liverpool is experiencing an economic boom with numerous regeneration projects across the city, one of the largest being the 90-acre Festival Park. The city receives 54 million tourists each year and the majority of serviced accommodation properties in Liverpool are achieving more than 10% rental yield. Birmingham rivals London as a centre for business and a commuter destination. 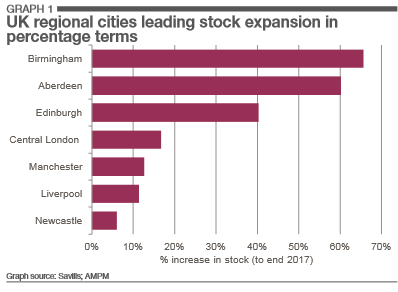 Serviced accommodation focused toward professionals is in high demand, and regeneration is underpinning capital growth of properties in the city. NOW is a fantastic time for you to start investing in serviced accommodation! 1. Keeping the property occupied. You don’t want an agent who is used to finding a tenant for your property only once every few years! A specialist will understand the extra work needed to keep a serviced accommodation occupied. DON’T underestimate the time it takes to find tenants and manage your listings! When it comes to serviced accommodation, making sure you have the time to do this is a very important part of your due diligence. 2. Not checking the paperwork. The mortgages available for serviced accommodation differ from ordinary BTL, and may require your property meet certain criteria or offer a lower percentage of the property’s value. Shop around for the best deal, and get quotes from at least 3 different lenders! There have been a lot of changes in the mortgage market in the last few years, so I spoke to David Whittaker, CEO of Mortgages for Business & Keystone, last year to get you the latest information. Bear in mind that if you invest in a property with a long lease, you will struggle to sell your property on to anyone except other property investors, which could impact re-sale and growth of the property’s value. ALWAYS make sure your mortgage and lease are appropriate for serviced accommodation! Running a serviced accommodation on a BTL mortgage or lease is fraud and will be very expensive for you. If you want to know exactly how much a mistake here could cost you, listen to this horror story I was told recently – don’t repeat his mistake! 3. Not considering seasonal periods. Too many people don’t think about this until it’s too late! Your property might be the perfect summer getaway, but will it still be profitable if it is empty all winter? Ideally you want to find a property that will work all year round, however if you are able to charge premium rates for a seasonal property it can work, just do the numbers before investing. For example, could that summer holiday property be marketed towards commuters or another demographic in the rest of the year? You should also research any seasonal or annual events such as festivals, sports tournaments and business conferences, as these usually create a huge temporary demand for serviced accommodation that you can take advantage of. So now you’ve got a serviced accommodation property, how do you go about managing it to maximise its value? 1. Are you going to buy the property outright, or invest in a leaseback? A leaseback involves buying a property and leasing it back to the property developer, who will manage it for you for a fee. If you are interested in serviced accommodation but need a more hands-off investment, this might be the option for you. We don’t do this, as we are the developer, however if you go down this route you won’t have to worry about occupancy or unexpected costs as your property will be managed, and you will get a long-term fixed income. The more money you invest, the more money you make! 2. Online listing sites like Booking.com, Airbnb and HomeAway are one of the easiest ways to advertise the property. There are many online listing sites to choose from, at premier property we share with you the 57 platforms you need to know to maximise your property income in serviced accommodation. Lettings agents who specialised in serviced accommodation can also be effective though more expensive, with the added bonus of freeing up your time. It may be worthwhile to continue taking bookings online even if you have hired an agent, as that way you can build an idea of their performance compared to online. Reviews are very important for serviced accommodation, so keeping your property listed online is also a way to get those reviews coming in and improve your visibility. 3. The most important point about managing serviced accommodation is that it will take a lot of your time; you don’t want all of your time to be spent just managing your existing portfolio! With stays in serviced accommodation averaging 2 weeks, you always need to think about how new arrivals will get into the property. A lockbox for the key might be the easiest and cheapest solution, but unless there is somewhere to hide the lockbox you could be putting your property in danger of burglary. If a lockbox is not possible, or you want to give your guests more of a personal touch, handing over the keys yourself is always an option. This is going to take up more of your time than you probably think though. Guests might have a specific time they need to arrive at, they might be late, or need to rearrange their arrival time. You need to be available to let them in regardless, so it could be a challenge to schedule effective use of your time on these days, as these kinds of situation can’t be planned for. Does all that sound like a good use of your time as a property investor? Especially if you have – or are planning to build – a large portfolio, a property manager to handle all of this busywork for you is a smart investment. Still not convinced? Watch this clip where I explain exactly what we do at Premier Property to successfully manage a property for a landlord. And finally, here is a quick checklist of dos and don’ts to help you make the right decisions and be successful in serviced accommodation. Okay, so if it happens to be in the perfect location already this could work, but location is so vital for this type of investment. If you picked a location for its potential as a traditional to-sell investment, is there demand for this type of property as serviced accommodation in the same location? While you want to make sure your serviced accommodation will work at a traditional to-let so you have the security of a plan B, that doesn’t mean your successful rental property will also be a successful serviced accommodation. ​​​​​Have more than 2 bedrooms. Most of your tenants will not need more than this, and having more could put your property into HMO territory, and subject to HMO licensing and regulations. Agree to a long lease. If you agree to a long term on a leaseback property, you are in danger of being stuck with a fixed income when the property has proven it can give much higher returns. Look for leases that last 6 months or a year. A long lease will also make it difficult to sell the property if you need to, as it effectively excludes the owner-buyer market. Looking for more on the differences between freehold and leasehold properties? Watch this clip taken from our Premier Property Club Canary Wharf event. ‘Save’ money when creating a formal inventory. An inventory clerk will only cost £50-£70 and gives you peace of mind in the event of any disputes. Offering discounts to returning tenants or people booking longer stays can be a great way to keep your property occupied with little additional effort. Offering discounts for referring your property to friends and family can also drive business. Get to know your guests a little, ask why they are visiting the area and listen for reasons they might be returning to visit again, for example family or work. Try to build a bit of a connection, so that next time they think about visiting the area, your property immediately springs to mind. This can be as simple as providing a fridge already stocked with food or vouchers to a local restaurant, or as luxurious as a bottle of champagne or chauffeur service depending on your market. Think about the little extras a lot of people don't consider, like a record player with a vinyl collection and a well-stocked bookshelf, that can really help your guests to feel at home. In addition to making a stay in your property appealing and memorable, there can also be opportunities to up-sell additional services. Serviced accommodation is an extremely review-driven industry, so wherever your properties are listed you need to make sure every review is read and responded to promptly. No matter how great your property is, you will get the occasional negative review. All of your glowing positive reviews will speak for themselves, so stay calm and do your best to address their each of their concerns politely. Asking guests if they enjoyed their stay and if you could have improved anything is a great way to get feedback that you might not get from a review, and could even prevent a negative review by enabling you to handle an issue there and then. Showing that you care and taking note of the little details that are important to people will ensure they stay at your property again on their next visit. Use online survey tools like Typeform to make the process quick and painless for your customers. If you have multiple properties in an area or multiple apartments in a building, investing in providing a reception desk or concierge solves the problem of getting your guests into the accommodation, and guests will be able to ask about the local area, shops and any questions they have about the accommodation. Budget ALL your additional costs. From the cost of having your property cleaned between tenants, to the ongoing costs of lettings agents and online listings, there are a lot of costs here you might not deal with in a typical BTL property, so you NEED to keep track of it all! Looking for more tips on managing your time effectively as a property investor? Watch this quick video where I share with you how we run an efficient and successful property business at Premier Property. ​If you have questions about serviced accommodation or tips to share with your fellow property investors, join the discussion in the comments section below! · Convert an existing property. · Have more than 2 bedrooms. · Agree to a long lease. · ‘Save’ money when creating a formal inventory. This can be as simple as providing a fridge already stocked with food or vouchers to a local restaurant, or as luxurious as a bottle of champagne or chauffeur service depending on your market. · Follow up with guests. · Budget ALL your additional costs. If you have questions about serviced accommodation or tips to share with your fellow property investors, join the discussion in the comments section below!